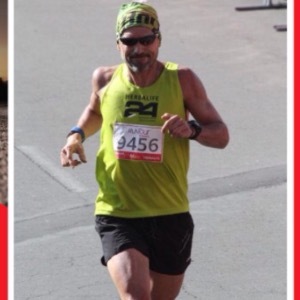 My name is Santiago Rodriguez, live in Bogota colombia...went to school in the USA and have a Masters Degree in Exercise Science from Central missouri State U. I am still a competitive athlete as a trail and road runner, with important results in my age group, 50 -55. Actually focus on athletes that have high expectations and like to get important results and a lot of progress. At the moment, coach some of the best amateur athletes in the counry, in road a trail running. My philosophy is based on hard , intelligent and crafted work for every individual athlete I work with. I espect to work with people-athletes totally devoted to their goals and objectives , who are willing to fallow directions and the plan designed to them. I like to work with disciplined athletes, who believe in the combination of good nutrition, good rest, structured plans and work well on stressed situations. Success. Coach Santiago Rodriguez has been notified of your message.